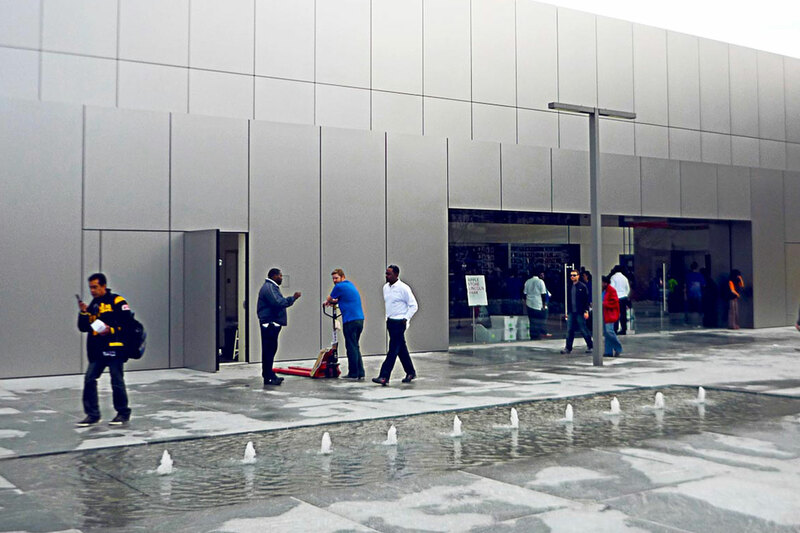 The Lincoln Park Apple Store opened it's plaza and water feature design in 2010. 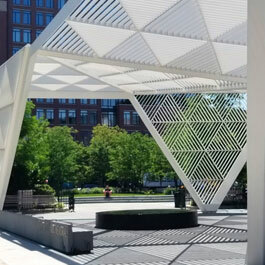 The water feature's linear design and negative edge allows it to create a peaceful, yet understated focal point to encourage people to relax in the retail plaza. 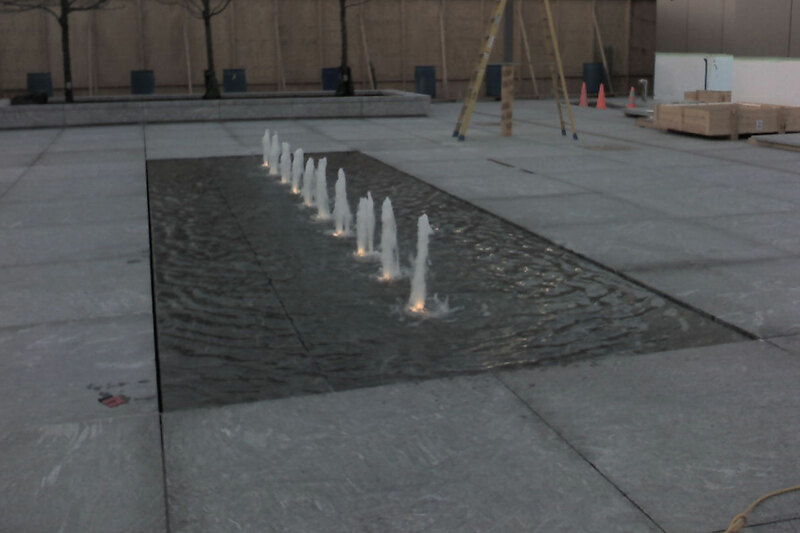 The plaza's relaxing tone and soothing water feature is a popular resting point for shoppers. 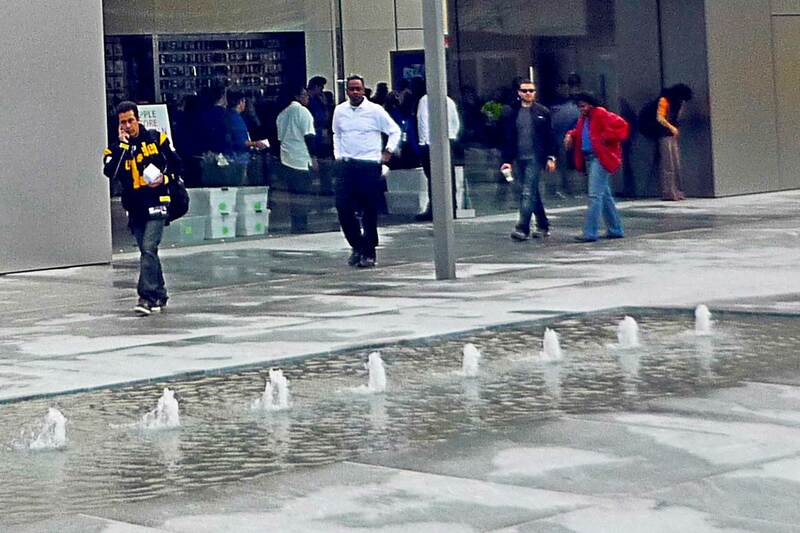 The plaza outside the Lincoln Park Apple Store, in Chicago, IL, is home to one of the city’s many beloved water features. 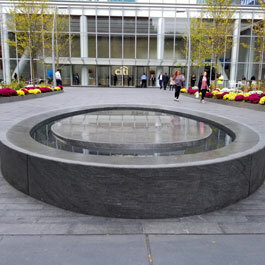 The water feature, which opened in 2010, lies in the middle of the urban plaza, surrounded by greenery, retail locations, and seating. 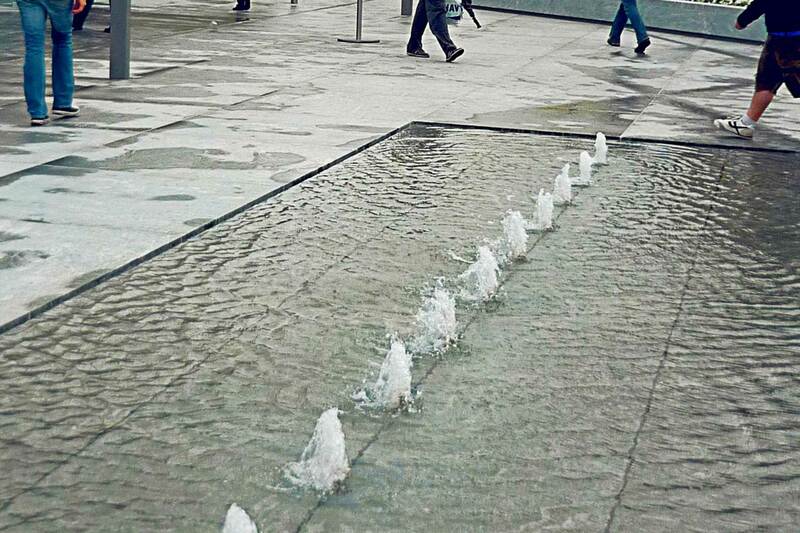 The water feature is a shallow, linear negative edge feature that lies flush with the surrounding plaza pavement. Small geyser nozzles line the middle of the feature to create a disturbance in the water and a unique touch to the pool. 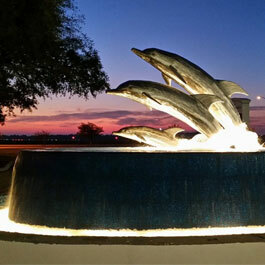 The geysers are paired with waterproof fountain lights that create a ethereal glow to the geysers after dusk. 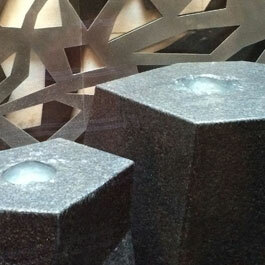 Delta Fountains manufactured and supplied all the equipment for the water feature.